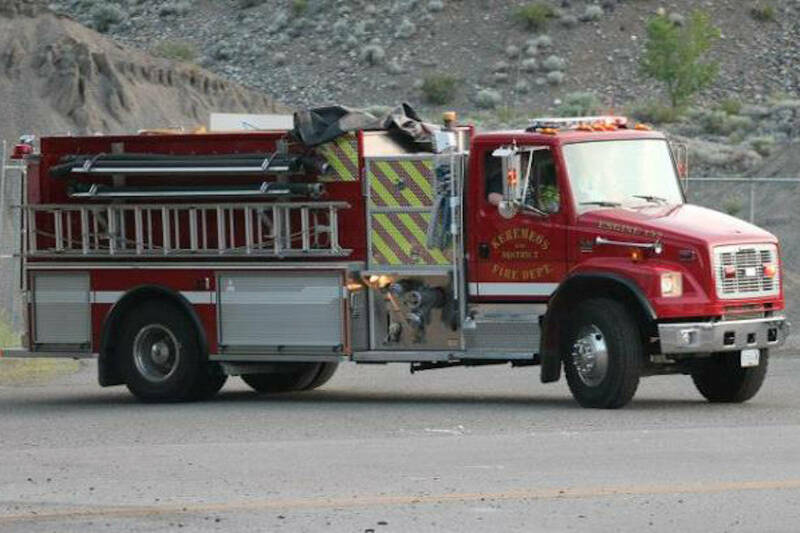 Dec. 20, 2017 8:50 a.m.
As Keremeos firefighters were executing a dangerous mountainside rescue, thieves ransacked vehicles back at the fire hall Monday night. In a hurry to get suited up and on the truck headed out to Nickel Plate Road where a truck had plummeted about 200 feet with two people inside, several firefighters left their vehicles unlocked. While firefighters braved the cold and treacherous conditions, someone went through the heros’ vehicles. A child’s backpack and a duffle bag were taken from one vehicle, luckily the thief didn’t see new Christmas presents in the back of another. “It’s really discouraging. We’re helping people in need and somebody takes advantage,” Keremeos Fire Chief Jordy Bosscha said. Anyone that knows about these thefts is encouraged to contact the RCMP. Free naloxone kits now available at pharmacies across B.C. Two dead after shooting in Needles, B.C. Agreement with Under Armour will provide heptathlete star with precisely-engineered athletic shoes. Jim McGregor considers changing fashion for formal occaisions in B.C.